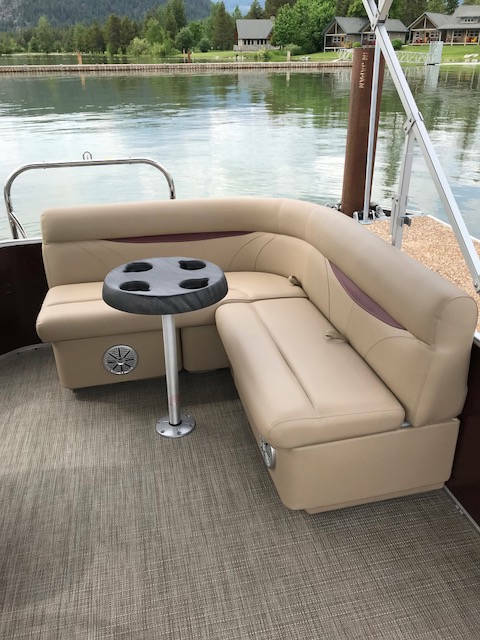 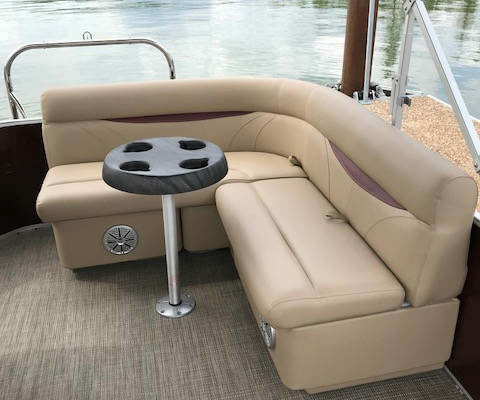 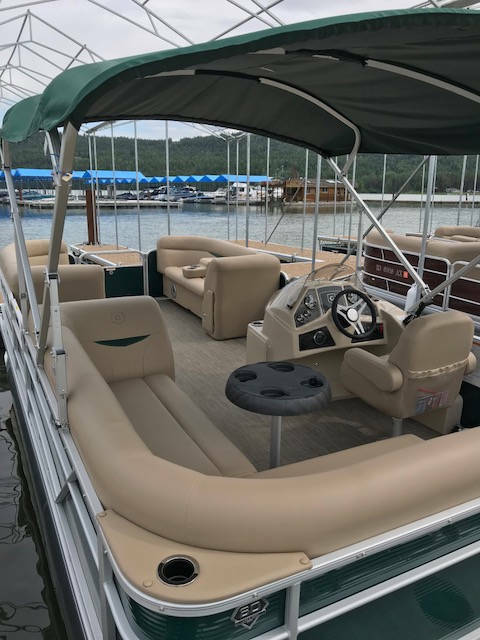 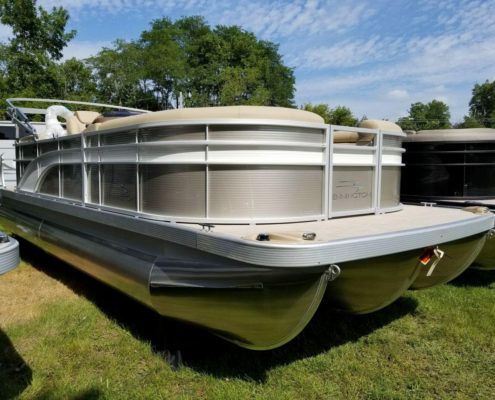 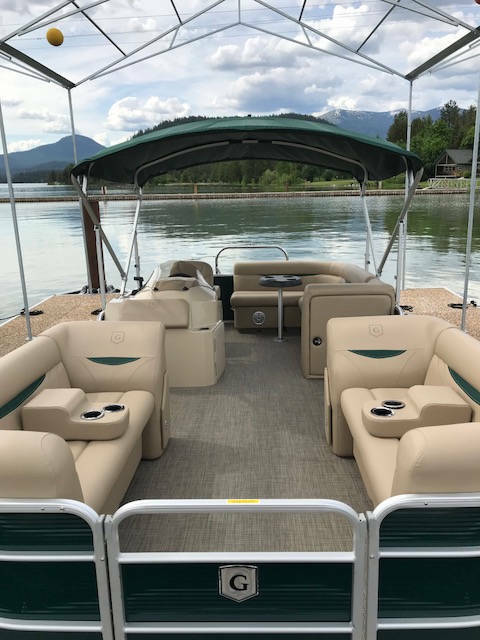 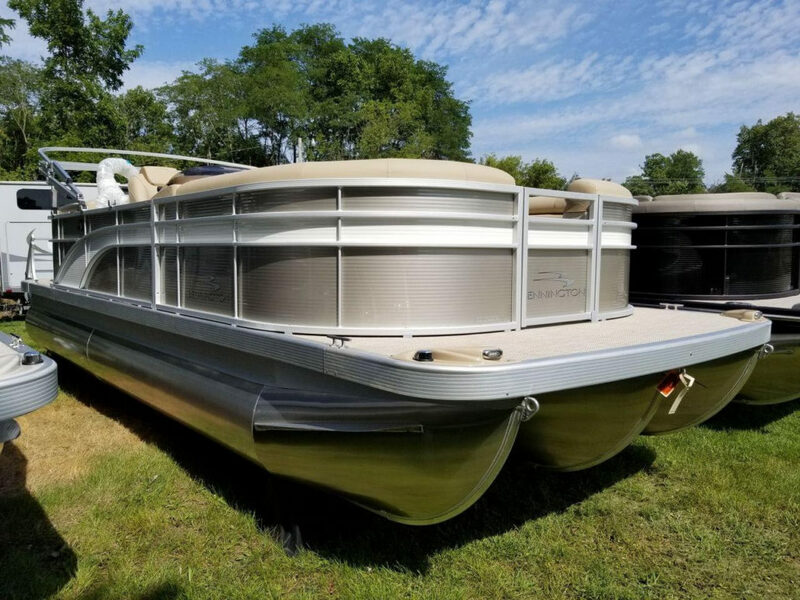 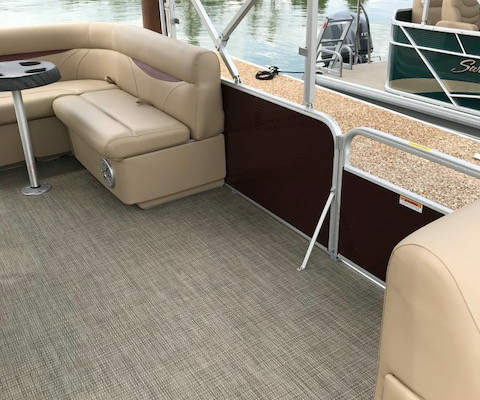 Brand-new, featured-packed 2018 Sweetwater Pontoon Boat is comfortable, stylish and ready for your family to take out on the lake. 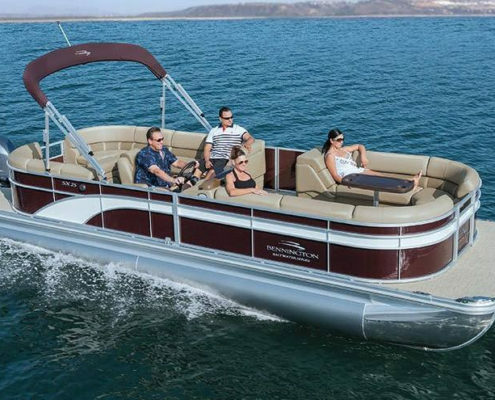 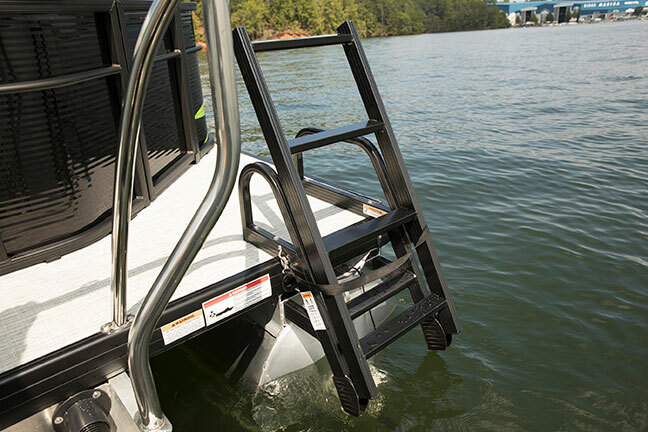 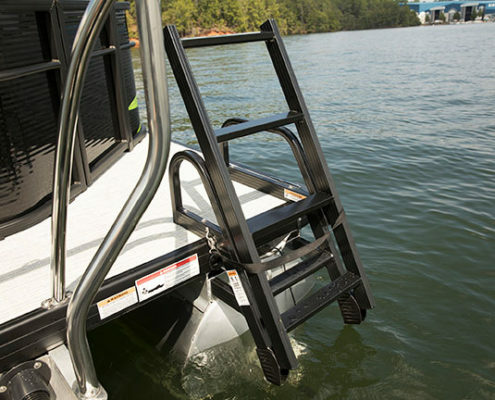 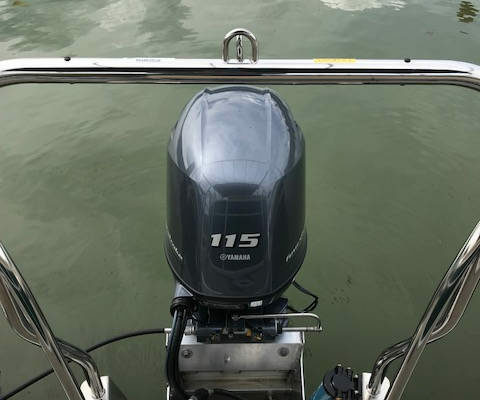 Maximum capacity of 9 passengers or 1275 pounds with 115 hp motor. 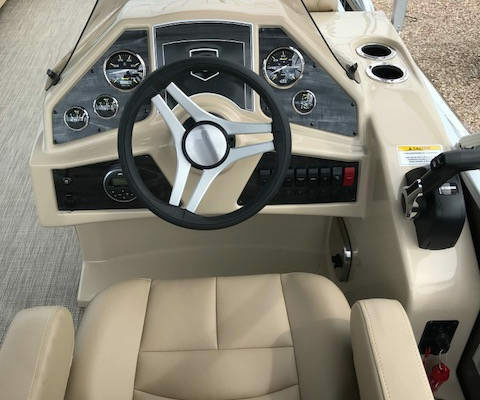 Features include Bluetooth capable stereo, USB charge port and GPS speedometer and bimini top. 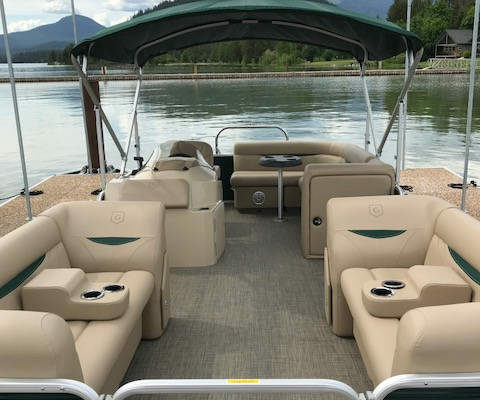 Brand-new, featured-packed 2018 Sweetwater Pontoon Boat is comfortable, stylish and ready for your family to take out on the lake. 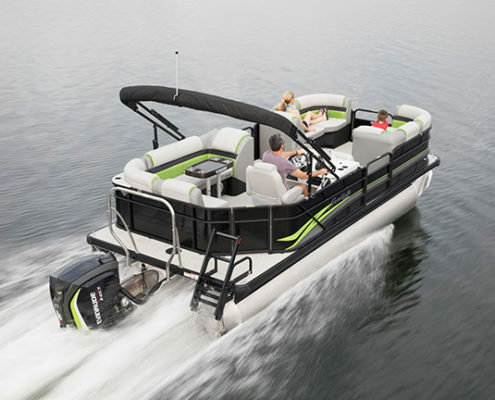 Maximum capacity of 9 passengers or 1275 pounds with 115 hp motor. 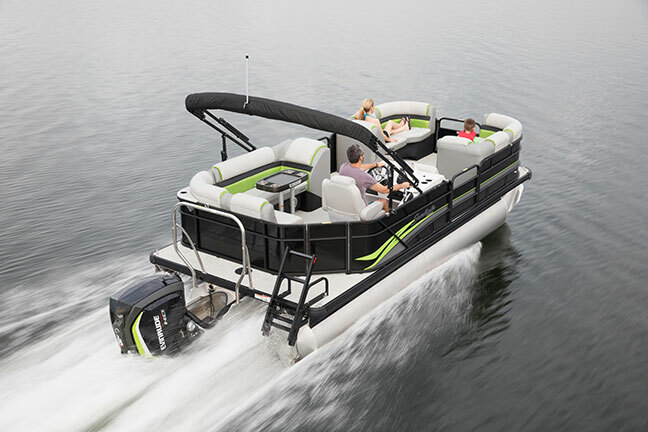 Features include Bluetooth capable stereo, USB charge port and GPS speedometer and bimini top. 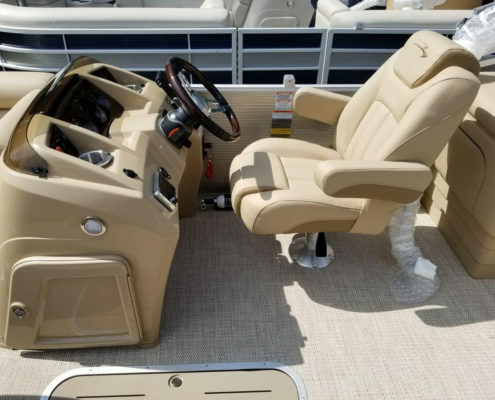 This boat is handicap accessible without losing any seating. 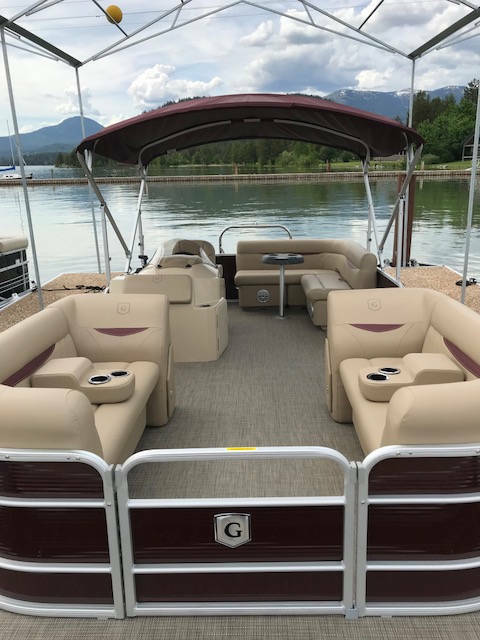 Family-fun, NEW THIS SEASON!! 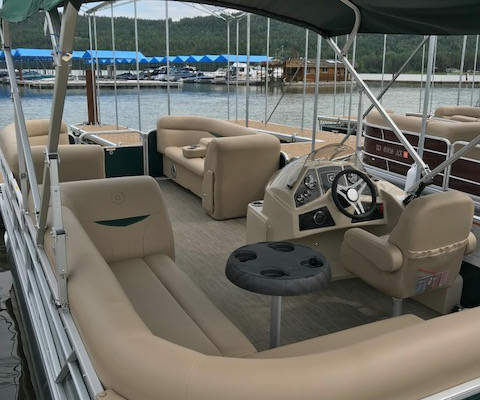 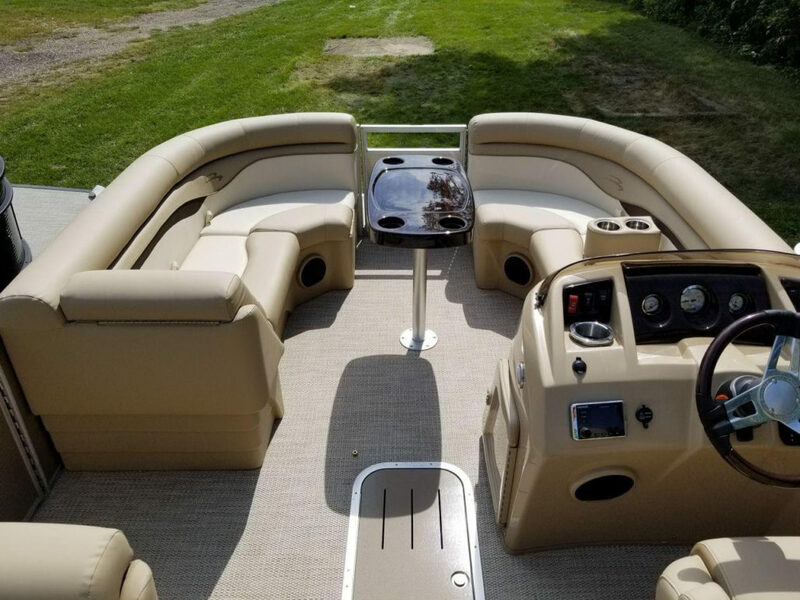 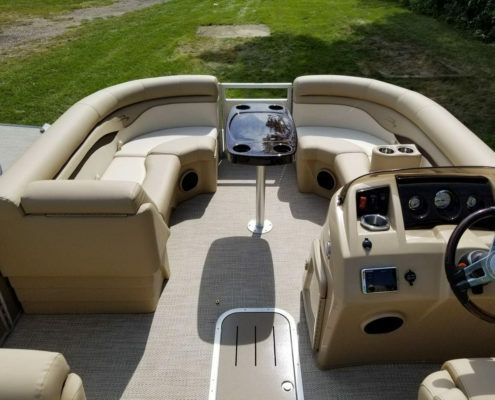 This boat is perfect for cruising the lake or river. 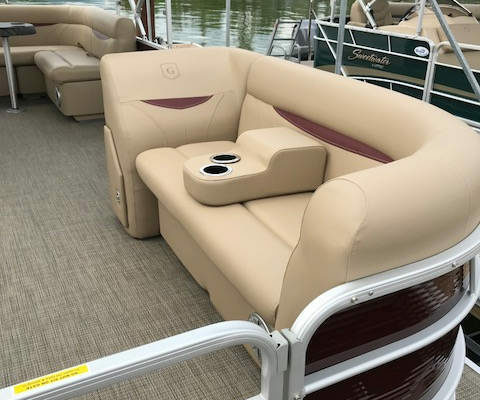 Bennington is at the top of the line pontoon boat. 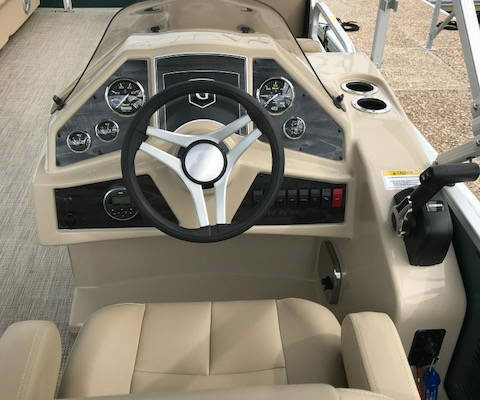 This one is 22 ft and features upgraded upholstery, fish finder and tow bar, 115hp, an mp3 jack, lots of storage and can seat up to 10 people. 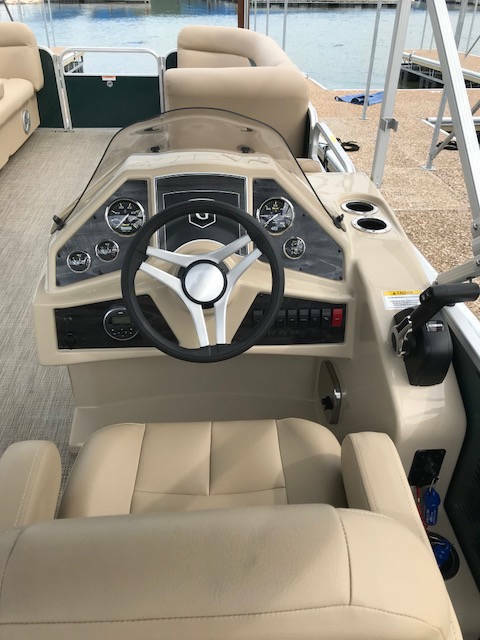 NEW BOAT!! 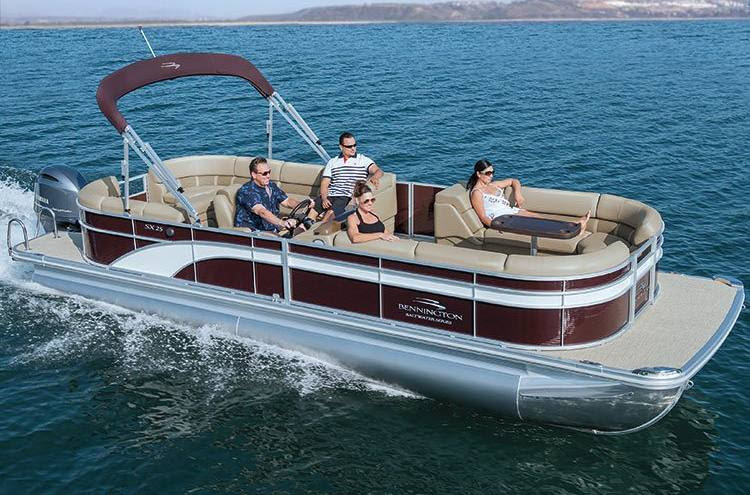 This is our flagship pontoon boat for a large family or group. 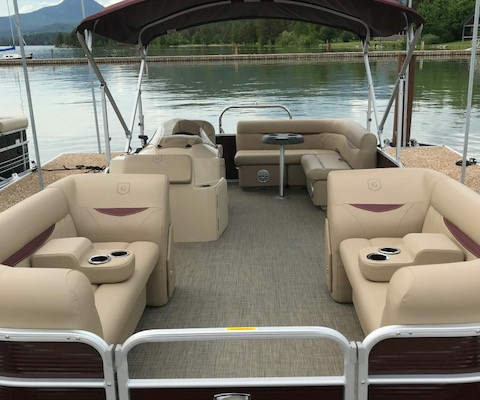 This boat is perfect for cruising the lake or river. 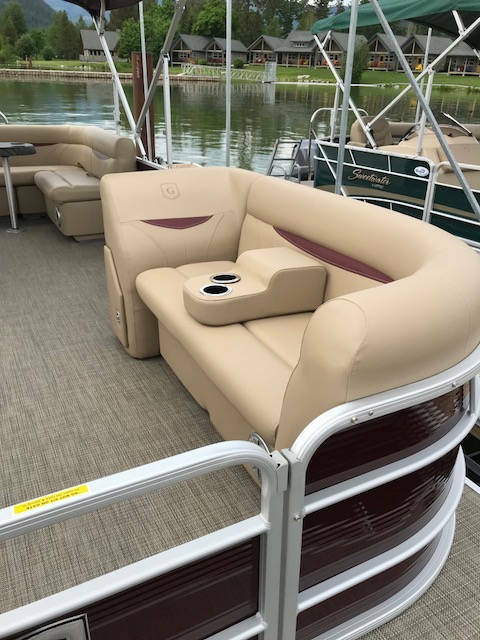 Bennington is at the top of the line pontoon boat. 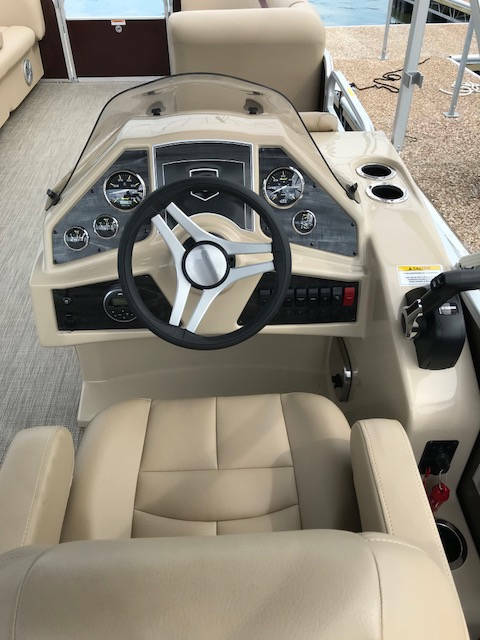 This one is 25 ft and features double bimini tops, fish finder, 150 hp, an mp3 jack, lots of storage and can seat up to 15 people. 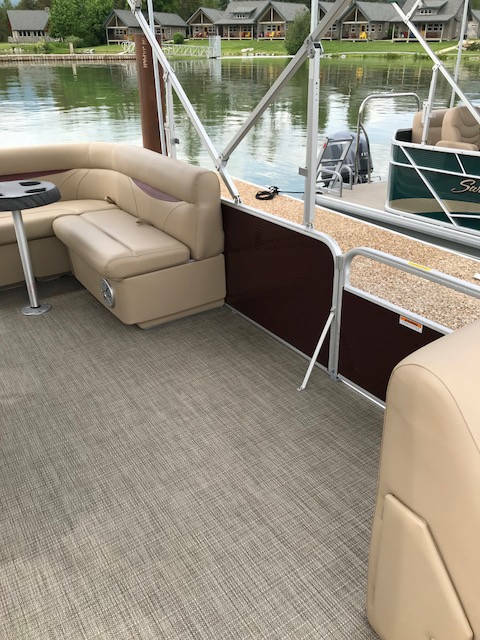 No need to wait for a callback, just view your reservation online. 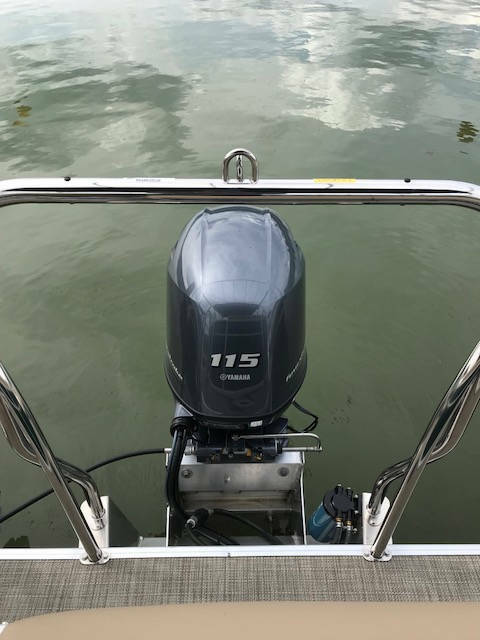 Should you have questions please feel free to call or email anytime.